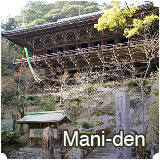 Yakushi-do, also called Konpon-do, or Konpon-chudo was constructed in a Tenjiku architectural style (a Daibutsu or Great Buddha, architectural style) in the Kamakura period (1185-1333). 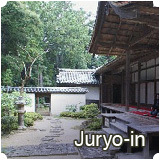 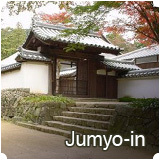 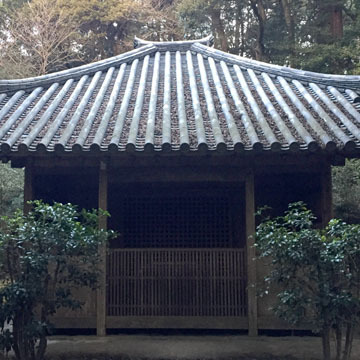 This hall burnt down in 1308 (Enkyo 1st yr) and the present building was reconstructed in 1319 (Geno 1st yr), which is the oldest construction in Engyoji Temple. 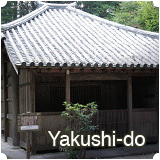 The origin of Yakushi-do is said to be a 3.6 m-square humble hall which is composed of a 1.8 m-square main hall and a worship hall (an outer hall) of the same size. 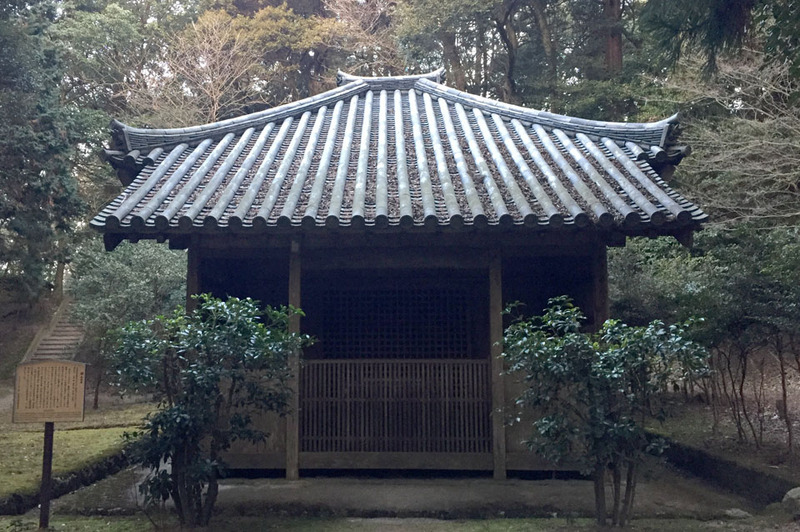 Later, Shoku Shonin (Priest Shoku) rebuilt the hall into Yakushi-do in a San-ken-shi-men style (the main hall is 5.4 m wide and 3.6 m deep with 1.8 m eaves on four sides). 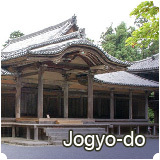 In 1578 (Tensho 6th yr), Toyotomi Hideyoshi brought back the principle Buddhist image of worship to Omi-Nagahama, so the wooden Yakushi-Nyorai-zazo (a seated statue of Bhaisajyaguru or the healing Buddha) was transferred from Jusho-ji Temple. 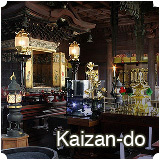 The Buddhist statue is now displayed in the treasure room on the second floor of Jiki-den. 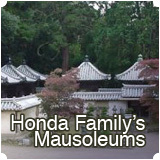 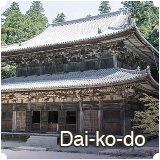 Yakushi-do was dismantled and repaired in 1978 (Showa 53rd yr). 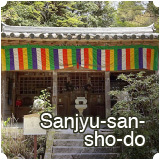 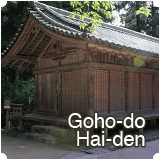 Yakushi-do is designated as one of 33 temples which form a Yakushi pilgrimage route in Harima (the southwest part of Hyogo Prefecture) and consists of 21 temples of the Tendai Sect (Tiantai Sect), this temple is No 16. 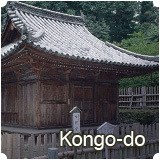 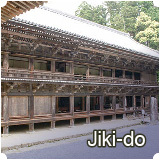 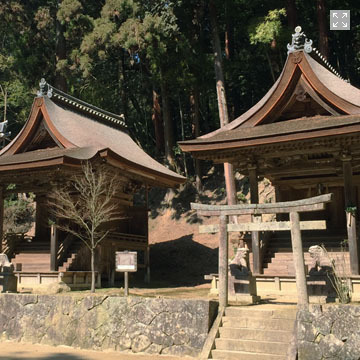 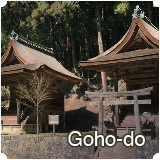 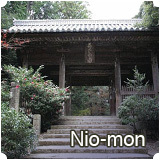 Dating from 1559 (Eiroku 2nd yr), Goho-do is two small shrines in front of Kaizan-do in Oku-no-in (the inner sanctuary).